Clean the greens and wash them well. Now take the greens in a pressure cooker. Add chopped tomatoes, onions, green chillies, radish, ginger and garlic with maize flour and salt. Add some water and close the cooker. Cook for 3 whistles and let it cool down. Now coarsely mash the greens in a blender. Taste and adjust seasoning. Cook on low heat for 15-20 minutes to intensify taste. Before serving, temper with ghee, cumin seeds, asafoetida, onion, chillies and ginger. 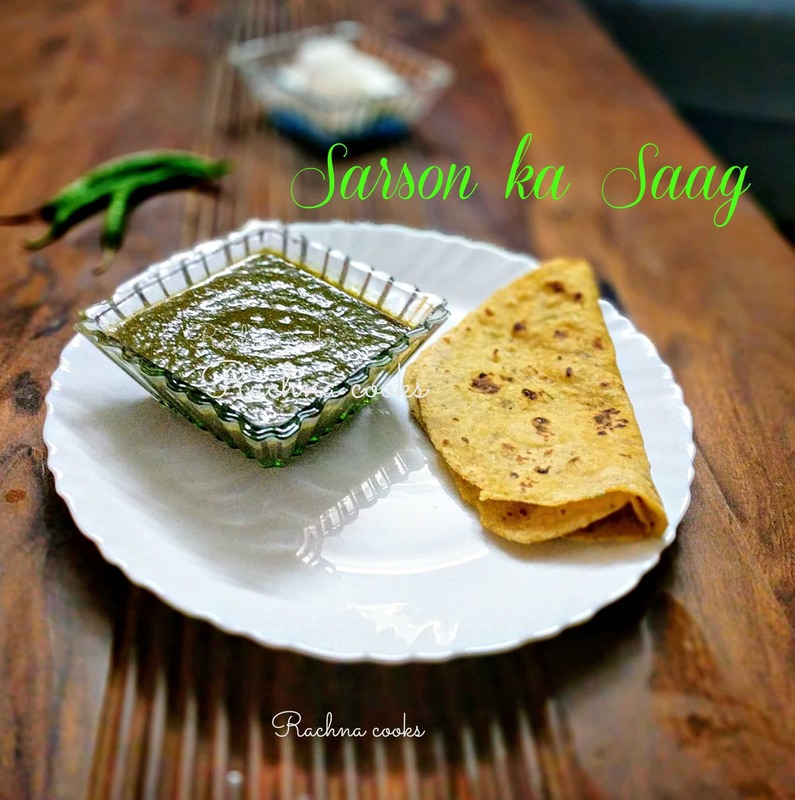 The saag should be thick and creamy, not runny. Maize flour is added to add creaminess to the saag. It does taste better as it sits for a few hours. Serve with hot makki ki roti. Tastes best with it. Put some ghee/butter on top when you serve.